Political junkies hoping to hear something new from the top two candidates for Oregon governor didn’t find much Tuesday night, as Democratic Gov. 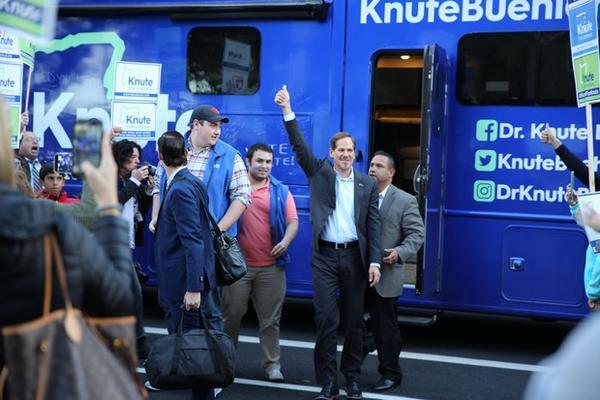 Kate Brown and Republican Rep. Knute Buehler met for their third and final debate. In an hourlong affair that mixed questions from political journalists with videotaped questions from voters, Brown and Buehler touched on issues that have become a hallmark of the campaign including funding for education, homelessness and the state’s uncertain budget. Throughout it all, Buehler continued to question Brown’s leadership. And Brown again suggested Buehler was out of touch with regular Oregonians, accusing him of switching political stances. But the debate, organized by KGW and The Oregonian/OregonLive, did manage to plumb some new territory. Most notably, the candidates fielded a question about vaccinations, and whether Oregon parents should continue to have freedom as to when or if they vaccinate their children. Buehler, a trained physician, said he agreed with Oregon’s rules. The candidates also addressed the issue of the death penalty in a debate for the first time. Oregon has not executed an inmate since former Gov. John Kitzhaber announced a moratorium on the practice in 2011. Brown has continued that moratorium and said Tuesday she had no plan to change that approach. “On my watch, no one will be executed,” she said. Buehler repeated his pledge to resume executions, which he first voiced while running for the Republican nomination earlier this year. 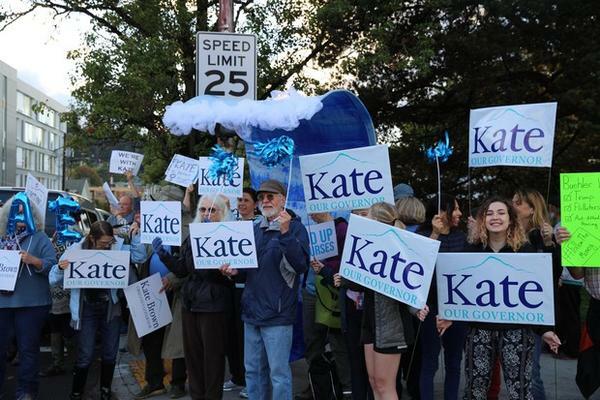 “I will follow the desires of the voters of Oregon … and I will enforce the death penalty,” he said. Tuesday also marked the first debate that addressed what has been a key point of contention in this year’s race: abortion. Buehler has steadfastly painted himself as pro-choice, touting legislation he pushed allowing women to access birth control over the counter and vowing to keep Oregon's abortion laws in place. Brown and her allies have hammered away at the issue, suggesting Buehler presents himself as pro-choice only when it suits him politically. As she has repeatedly, Brown pointed to Buehler’s opposition to a 2017 bill that expanded abortion access to all Oregonians. The most substantive discussions of the night occurred on the subjects of the state’s looming pension crisis and climate change. 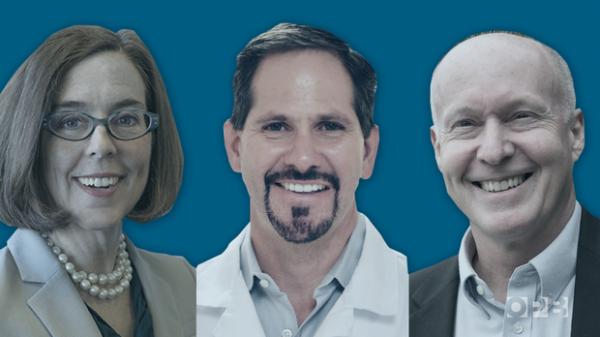 Oregon’s public employee retirement system, known has PERS, faces a funding shortfall of $22 billion, and Brown and Buehler have clashed over how to address it. Buehler has said he’d switch public employees over to a 401(k)-style system similar to what most private-sector employees have. And he’s said Oregon must make public employees pay into the PERS system — a move that Brown and her allies in public employee unions say would drastically cut worker retirements. Still, Brown conceded that public employees could “do more” to help with the issue. Buehler said Brown’s attempts to fix the issue have been “political theater,” saying concessions she’s won from employees on pension matters have been paid back with pay raises. “That’s not leadership, that’s pandering,” he said. On climate change, Brown and Buehler were asked how they’d lead in making Oregon a center for green energy. The issue could be meaningful in coming months because Oregon lawmakers appear ready to seriously consider bills in next year’s legislative session that would cap carbon emissions. Brown supports the policy. Buehler has said he believes climate change is a threat, but that such an idea would be too costly. “Probably a better way to describe it is a $1.4 billion sales tax on energy,” Buehler said when pressed on the topic by one of the moderators. The event marked the candidates’ third debate in a week, and likely the last time Oregon voters will see the two candidates on stage together before the Nov. 6 election. According to most indicators, the race is tight with a little more than a week until ballots start going out to voters. A new poll commissioned by The Oregonian/OregonLive and KGW suggested Brown had a 4-point lead on Buehler, but that lead was within the poll’s 5.2-point margin of error. Other recent polls have found similar results.